There is an emerging revolution in wild forest relationships. Wild foresting has evolved from ecoforestry, going far beyond merely having a minimum impact on the world, to sustaining and promoting forest health, along with biological and cultural diversity. Wild foresting promotes the responsible use of forests, connects indigenous knowledge systems, and unites a great variety of local practices tailored to unique forests around the world. Wild Foresting is presented in eight thematic sections that discuss topics as varied as tree meditation, wild humans, and ecophobia. 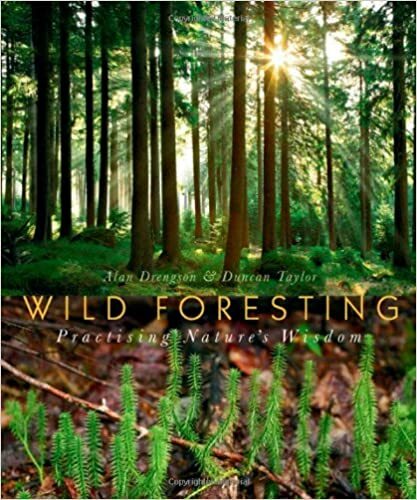 Case studies from the Amazon, Australia, Norway, and Thailand illustrate how wild foresting principles are adapted to different cultures and how emerging practices are fusing ancient knowledge systems with contemporary ecological studies. Wild Foresting is a fascinating and informative walk in the woods for everyone concerned about biodiversity, ancient forests, indigenous cultures, and endangered species. Alan Drengson is professor emeritus of philosophy at the University of Victoria, an author, and one of the founders of the Ecoforestry Institute. Duncan Taylor is an assistant professor of environmental studies at the University of Victoria, the founder of Earth Day Canada, and an author. Drengson and Taylor are co-editors of Ecoforestry: The Art and Science of Sustainable Forest Use (New Society Publishers).